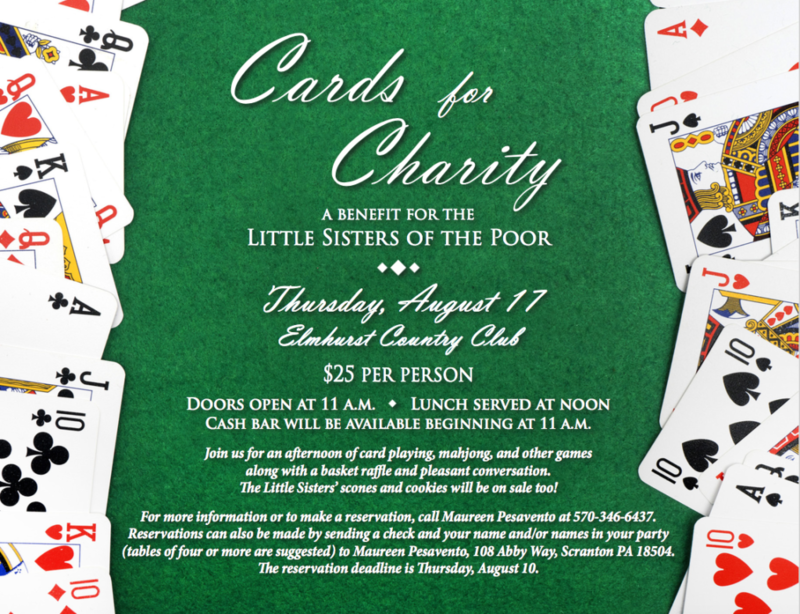 Cards for Charity will host a benefit for the Little Sisters of the Poor Thursday, Aug. 17, at the Elmhurst Country Club, 319 Gardner Rd., Moscow. The doors will open at 11 a.m. and lunch will be served at noon. A cash bar will be available beginning at 11 a.m. Following lunch, guests will enjoy an afternoon of card playing, mahjong, and other games along with a basket raffle and pleasant conversation. The Little Sisters will also have their famous scones and cookies for sale. For more information or to make a reservation, call Maureen Pesavento at 570-346-6437. Reservations can also be made by sending a check and your name and/or names in your party (tables of four or more are suggested) to Maureen Pesavento, 108 Abby Way, Scranton PA 18504. The reservation deadline is Thursday, Aug. 10. 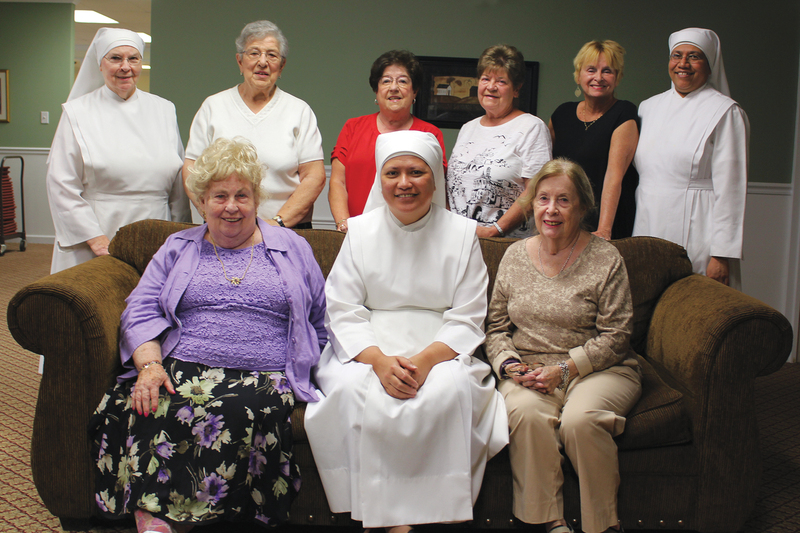 Pictured are seated left to right: Maureen Pesavento, event secretary and treasurer; Mother Theresa Louisa, l.s.p., superior of the Little Sisters of the Poor’s Scranton community; and Barbara Whitford, event co-chairwoman. Standing left to right: Sister Marie Therese, l.s.p. ; Rose Baas; Liz Yurkovic; Joan Hrycow; Rosemarie Martin; and Sister Laurelliya, l.s.p. Also serving on the committee is Betty May, event co-chairwoman; Marianne Ferrario; Mary Ann O’Boyle; Mary Lynn Sciaccia; and Mary Ann Hazzouri.